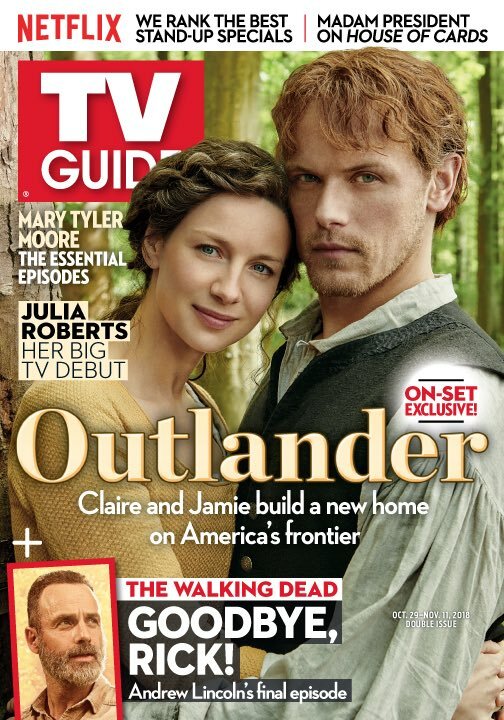 Starz shared today that TV Guide Magazine will have Jamie (Sam Heughan) and Claire (Caitriona Balfe) on the cover of its October 29 – November 11 double issue. Below is the cover, but no other content from this feature is available right now. This entry was posted in Caitriona Balfe, Sam Heughan and tagged Caitriona Balfe, Magazine Mentions, Sam Heughan, TV Guide Magazine by Sarah Ksiazek. Bookmark the permalink.